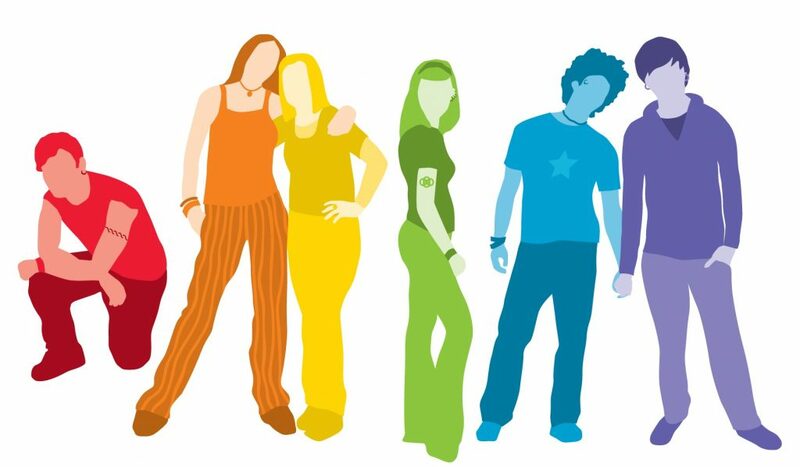 The Rainbow Youth Program works to make lesbian, gay, bisexual, transgender, 2-spirit, queer and questioning (LGBTQ+) youth feel safe, included, and empowered in Peterborough and the four counties. We give LGBTQ+ youth the space to be themselves and the tools to lead positive change in their schools, peer groups, and community. In the 1990s, LGBTQ+ youth in the four counties raised their voices; their needs were not being met in their schools, doctors’ offices, faith groups, workplaces, and communities. Thanks to their determined self-advocacy, service providers like PARN began working on solutions. In 1998, a small group of service providers, community members, and youth came together, secured a 3000$ grant, and founded the Rainbow Youth Coalition to better serve queer youth in the four counties. Today, the Rainbow Youth Program hosts a weekly youth drop-in with an average of 100 youth attending in a year. Our youth ambassador program, the queeRAdicals, are active in community outreach, including delivering inclusivity trainings to local schools, service providers, and organizations. The RYP is also involved in organizing many events, including Peterborough Pride, and building partnerships with schools, GSAs, and organizations throughout the four counties.